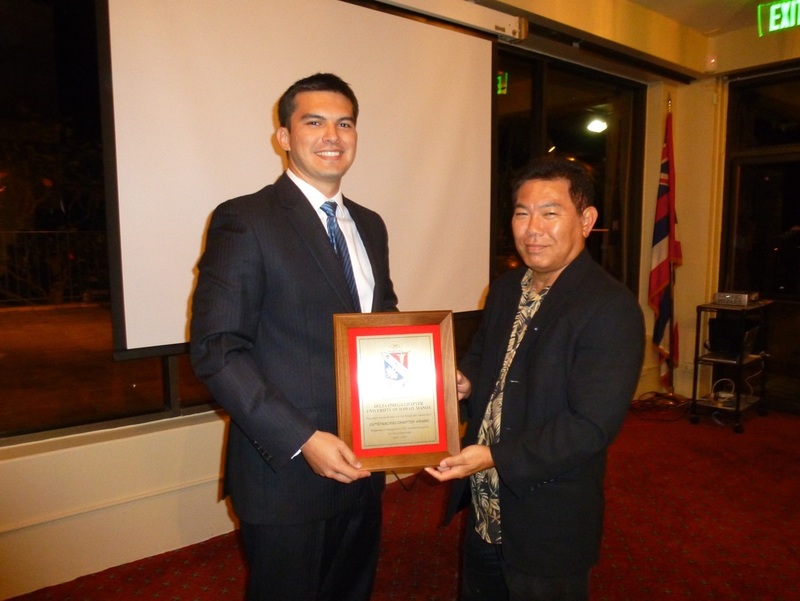 Larry Martin (Bridge Correspondant 2010-11) and Dr. Wayne Shiroma pose with the Outstanding Chapter Award. 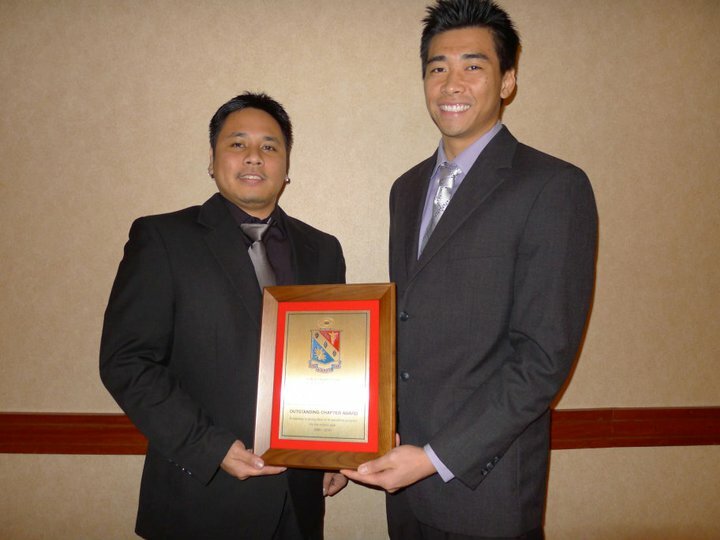 Christopher Manloyolo and Bao Jun Lei (2009-2010 Vice President & President respectfully) smile with the 2009-10 Outstanding Chapter Award. IEEE-HKN incoming and outgoing officers hold the six awards spanning the 2005-06 through 2010-11 academic years. 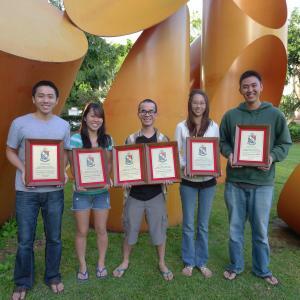 (Left to Right) Jonathan Dang, Carolynn Kitamura, Graig Ganitano, Chelsea Lau, and Daniel Fong. 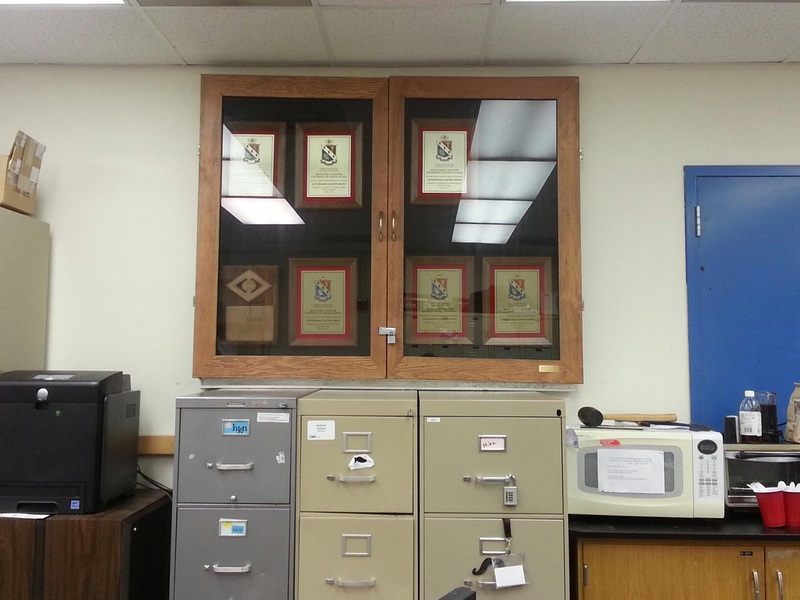 A trophy case done by the pledge class of 2011-2012, showcasing the Delta Omega chapter's awards throughout the years.